Does that mean you have fixed your CTD problem, or have you given up on that? So this makes a MMU guy. But not sure how to get the guy back in. And I got the mmu part to work. We are going to try to have 3 eva guys. So 3 sets of keys. Eva guy1 -E eva guy 2 -W and eva guy 3. That way 3 different mesh/guys are made and created. New issue. We have noticed when we eva. It makes a NASAMMu vessel. Switch focus to the mmu vessel. BUT when you apply thrust the shuttle rcs fire. 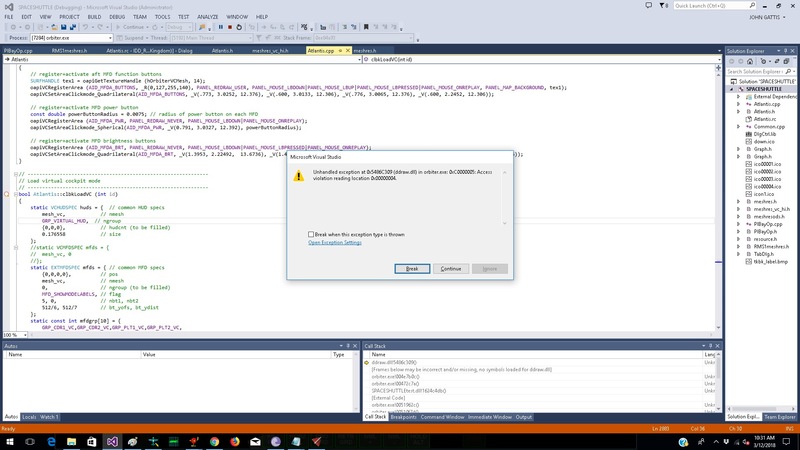 No idea where to look in the code. focus is on the MMU. 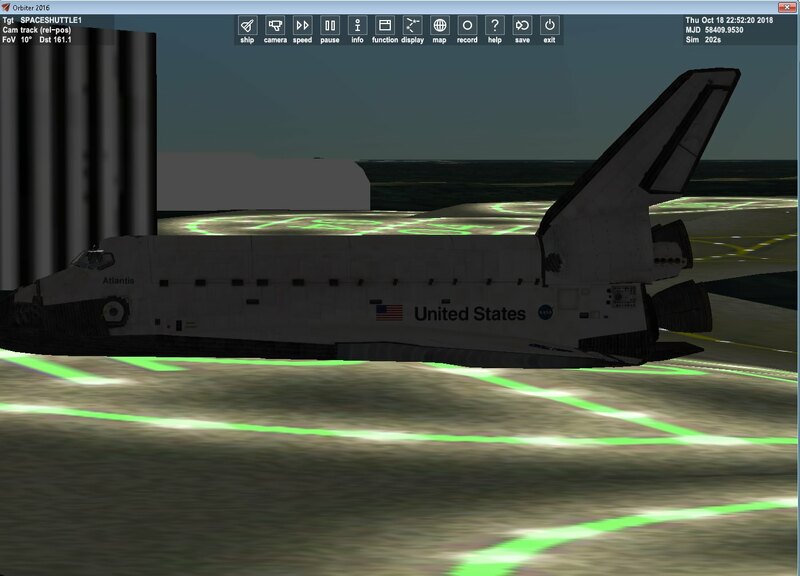 but when I press the rcs control for the mmu the shuttles fire. here is what I have for the h.
VISHANDLE vis;      // handle for visual - note: we assume that only one visual per object is created! // for CG shift, SRB thrust variations, atmospheric effects, etc. I was a left over piece from the Ascentmfd. I think for for variations the mass, fuel amount may need to be read from the scn? So I was able to add the new rms into the shuttle. BUt having an issue with code. I can get the attachment to follow the animation. So not sure what this number red'3" should be? 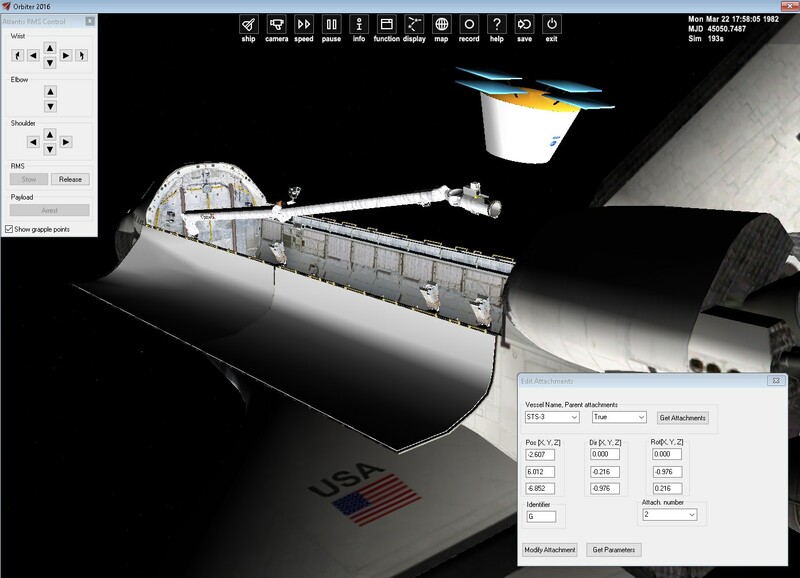 method to track a grappled satellite during animation of the RMS arm. So the red 3 in my code is the number of vertices, correct. So are the vertices the joints? in a rms arm? Both have cameras and rms camera and lights. But recently I noticed an BIG issue. 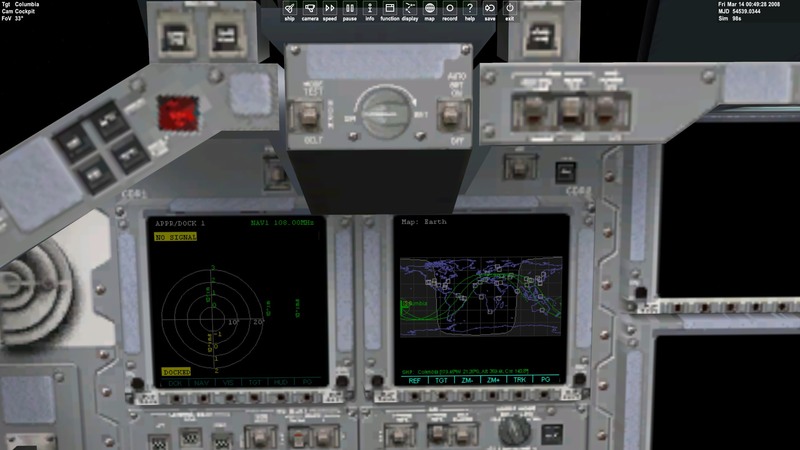 either the cockpit or VC mesh gets shifted. 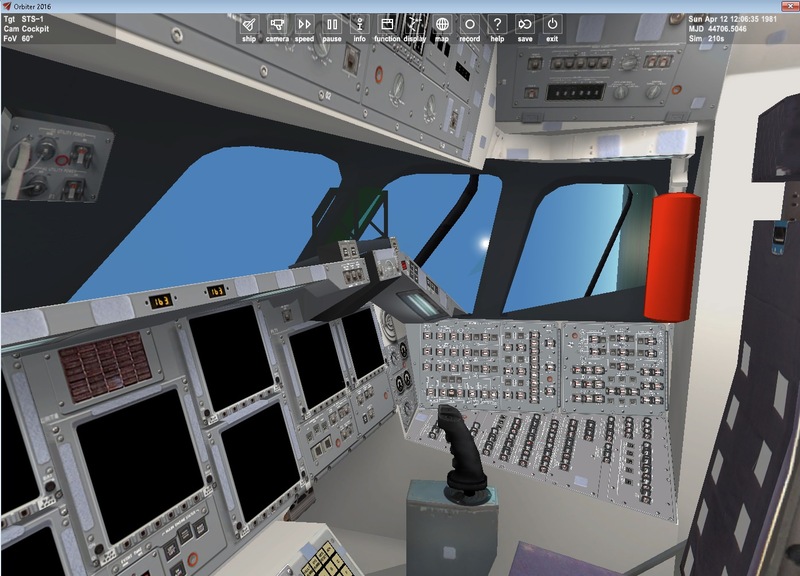 from this cockpit view you can see the window frame are no matching up. Any ideas? As far as I have seen no shift mesh commands. I have commented out all animations. I added a remade shuttle and the same result. 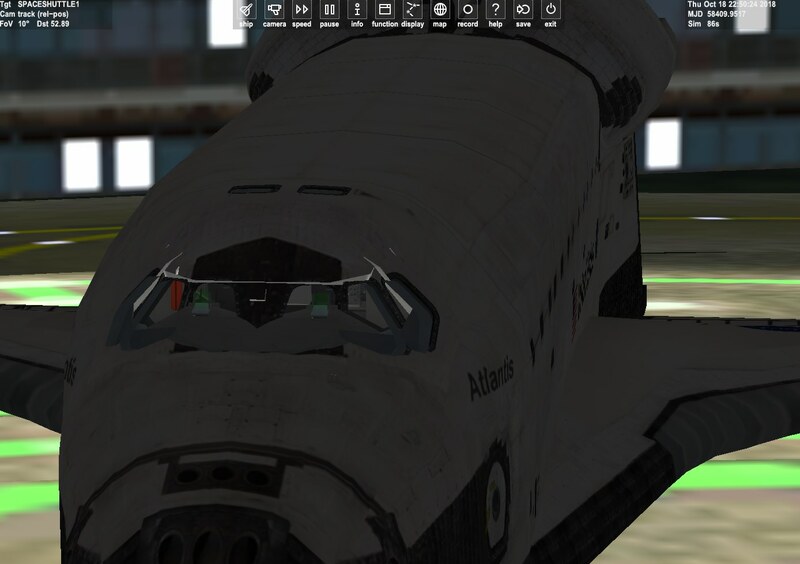 The default Atlantis is forward of the cockpit mesh. 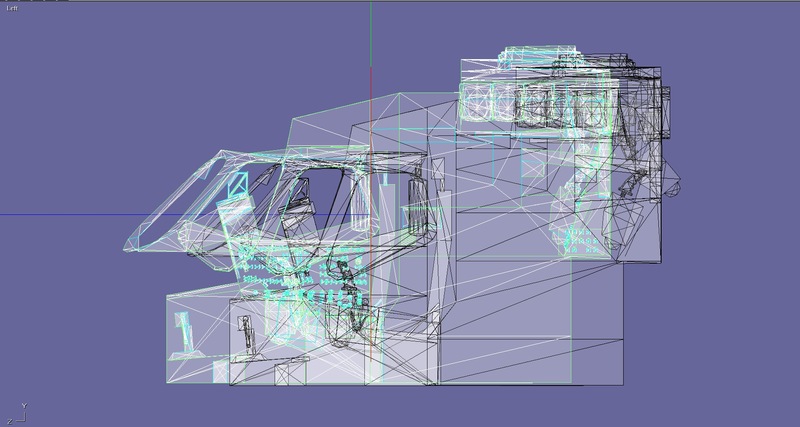 The vc is the highlighted mesh. That why the bars are shown in the vc. I ran this in another Orbiter 2016 and the same. and confirm by another user. 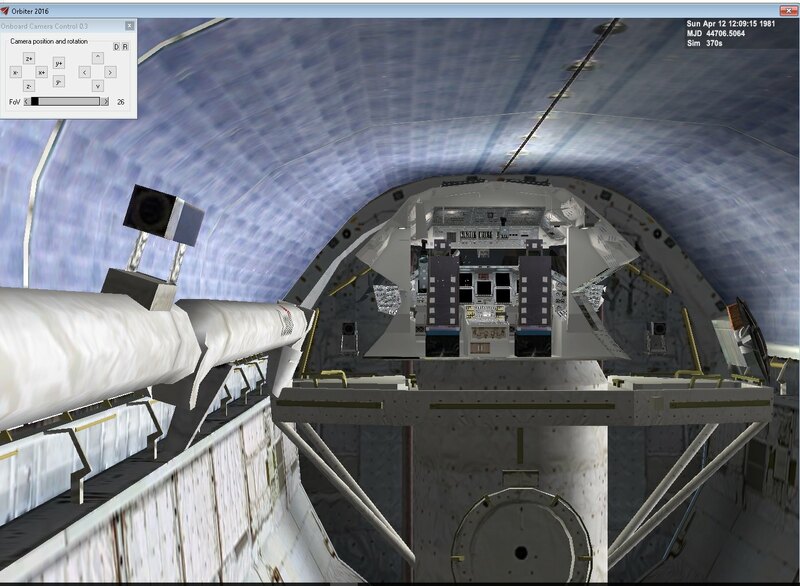 Still no idea why the vc is extending into the shuttle bay. Can you turn of the VC mesh when you are displaying outside view ? So, does that solve the problem ? No. The default Atlantis is like that. So if I do this. Then the vc doesn't come thru the cargobay. So I redid the vc. But there seems to be a vc-hires and a lo one. Not sure why? Got the front mfd to work. Thinking about the aft one to make it on the aft wall. 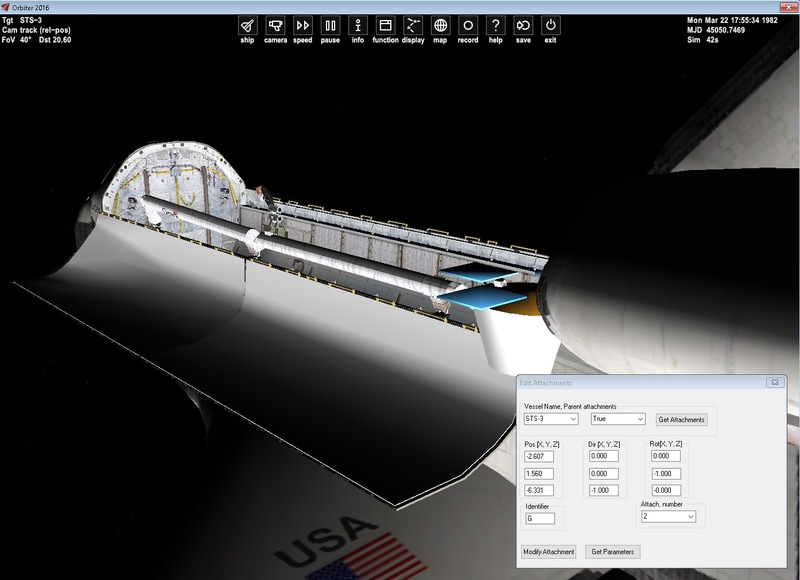 RMS dialogue box. I can add the store/recall boxes. But not sure how to code them. I have run into a major issue with the vc. But the labels for the mfd not. In my vc mesh labels is the 14th texture. in my the label comes first. No ideas how to fix this with using notepad and move the mesh groups around? Fixed it. Just rearrange the groups. But got the left and right mfd to adjust the brightest. But can't get the center section to change. I am setting the vc touch arear in the right x,y area not so much about the z. I tried on the surface but it didn't work. The Atlantis looked like it was above the surface? But I get a CTD when I try to open in. The ODS is number 3 in the mesh order. So now I have run into a ctd when I go to VC. Getting closer. I have run into this. The bright/dim. So as I understand it it changes the material setting.